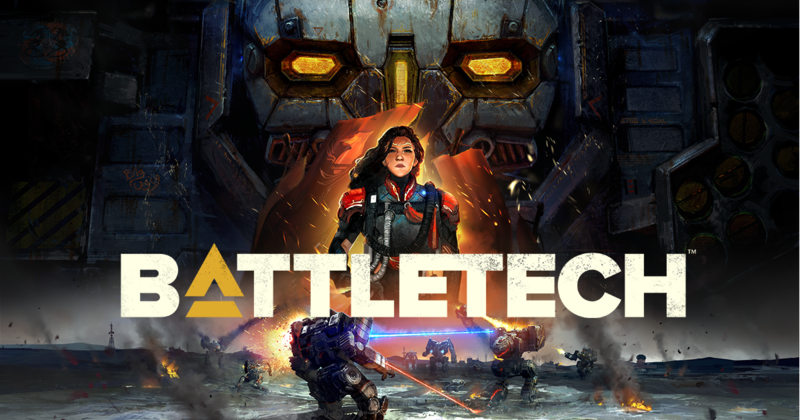 Paradox Interactive announced today that pre-orders for BATTLETECH are finally available ahead of an expected April launch date on PC (Windows and Mac). The base game will be priced at €39.99, while a Digital Deluxe Edition will be available for €49.99. Interestingly, the crowdfunded BATTLETECH will launch in the same month as another major crowdfunding project, Obsidian’s Pillars of Eternity II: Deadfire. BATTLETECH has been a passion project for our team and for the fans who helped to make it a reality. We have done our very best to deliver a tactical `Mech experience that will delight long-time fans and excite new players who have yet to enter the MechWarrior universe. We know players are anxious to get their hands on the final game, and HBS joins Paradox in our excitement to deliver this April. Today the first video in a three-part series was also released, dedicated to the game’s combat system. You can find it below. COMMAND A SQUAD OF `MECHS IN TURN-BASED COMBAT:Deploy over 30 BattleMechs in a wide variety of combinations. Use terrain, positioning, weapon selection and special abilities to outmaneuver and outplay your opponents. MANAGE YOUR MERCENARY COMPANY:Recruit, customize, and develop unique MechWarriors. Improve and customize your dropship. Oversee your team of technicians, engineers, and support personnel. TAKE PART IN A DESPERATE CIVIL WAR:Immerse yourself in the story of a violently deposed ruler, waging a brutal war to take back her throne with the support of your ragtag mercenary company… should you choose to provide it. CUSTOMIZE YOUR `MECHS:Use your MechLab to maintain and upgrade your units, replacing damaged weapon systems with battlefield salvage taken from fallen foes. FIGHT YOUR WAY ACROSS THE PERIPHERY:As a Mercenary, travel a wide stretch of space, taking all kinds of missions and managing your reputation with a variety of noble houses and local factions. PVP MULTIPLAYER & SKIRMISH MODE:Customize a Lance of ‘Mechs and MechWarriors to go head-to-head with your friends, compete against match-made opponents online, or jump into single-player skirmish mode to test your strategies against the AI.